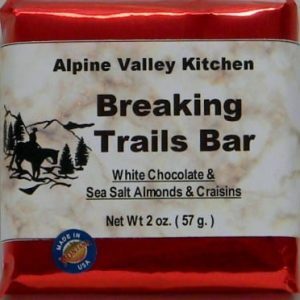 Breaking Trails Bar is made of white chocolate with sea salt roasted almonds and craisons mixed in. This is a 2 oz. bar.